Combine flour, eggs and seasonings. 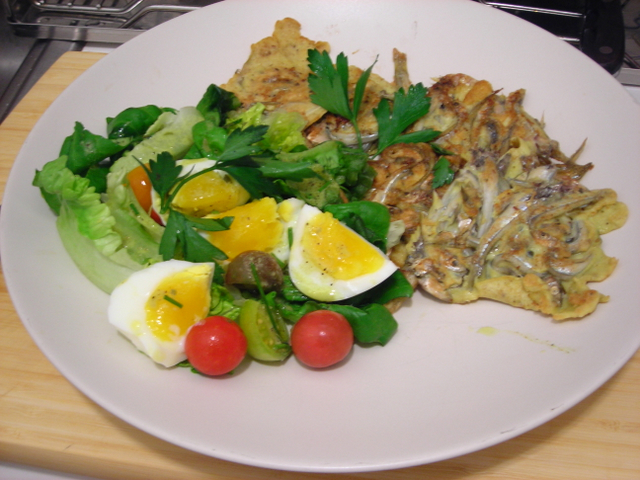 Add whitebait. Melt butter and add a spoonful of whitebait at a time. Cook until golden brown on both sides. Set aside on paper towels to drain. Serve immediately. Combine ingredients. Whisk to incorporate. Chill in the refrigerator, covered or until ready to use. 16 Oct	This entry was published on October 16, 2007 at 12:22 am and is filed under food, general. Bookmark the permalink. Follow any comments here with the RSS feed for this post.